The Denver Nuggets are a few weeks removed from the end of the 2017-18 season and are headed into another offseason that ended in April. This marks the fifth season since Denver has made the playoffs and they desperately need answers sooner than later. This is a very important offseason with many questions regarding the future of the franchise. We, at Mile High Sports, came together to answer a few of those questions and give an outlook on what to expect this summer. 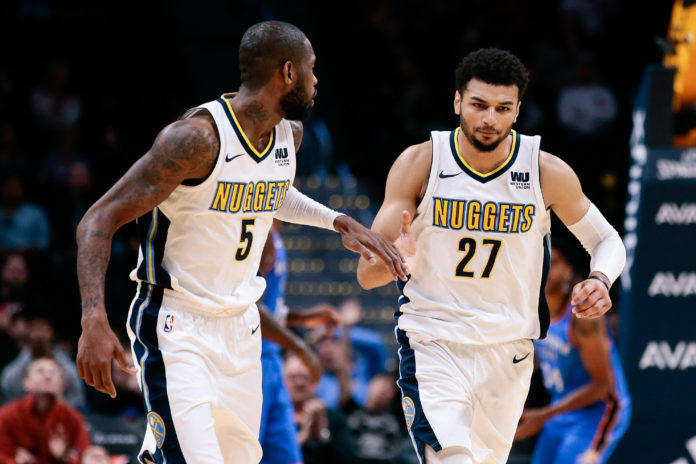 Will the Nuggets be active this summer? Dev Johnson: I think this will be an interesting summer. I believe that something random might happen such as trying their best to get rid of Kenneth Faried and a first-round draft pick to open up some cap space, but it will likely be a boring and quiet offseason. I think this is a team that believes that their young core can get the job done and as long as they don’t shake things up there, they should fine. It will be interesting to see what happens with Nikola Jokic. He is positioned to receive a max contract if the Nuggets decide to decline his team option and make him a restricted free agent. 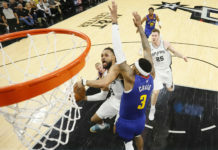 They also still have to see what happens with the player options for Wilson Chandler and Darrell Arthur in addition to the free agency of Will Barton, Devin Harris, Torrey Craig, and Richard Jefferson. I do not see much activity beyond Denver making decisions on their own players. T.J. McBride: How active the Nuggets are in free agency is solely dependent on what happens with their own players. If both Chandler and Arthur opt-in and Jokic gets the max contract that is expected this offseason, Denver will officially be a team well into the luxury tax without even attempting to sign Barton as an unrestricted free agent. If that scenario plays out, Denver likely loses out on their Bi-annual Exception and their full Mid-level exception would fall to the taxpayer Mid-level Exception, which is about $3.5 million less. If Denver can move off of a couple contracts — Faried, Arthur, or Chandler — they could find themselves with some money to play with as well as both the Mid-level Exception and the Bi-annual Exception. That would open the door for more activity in free agency. Which player do you expect to have the best offseason? DJ: Jamal Murray. This is a player that is progressing and had a very successful sophomore season full of progression. It is already noted that he has an incredible work ethic and he is a fierce competitor that truly wants to get better. He has a very high ceiling and can affect the game in so many ways, but there are so many things that he could work on that will put him over the edge. And he has the room for it. He hasn’t reached his prime yet and has so much upside and in year three I expect him to transition into it. He didn’t have an offseason last summer due to having to have surgery so this is a player that will have time to actually focus on specific areas and go after it and with the first chance to do so since entering the league, expect him to go after it. I expect him to add elements to his game that weren’t there this season and improve in others. JM: Jamal Murray will finally have a healthy offseason. I look for this to help his development by leaps and bounds. TM: I refuse to choose anyone other than Jamal Murray. 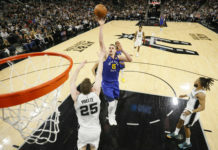 During his exit interview — just about 14 hours after sustaining a loss to the Minnesota Timberwolves on the last day of the season — Murray’s first words during the press availability was, “I am just ready to get to work.” Murray is going to get to work and that should scare the entire NBA. What does Denver do in the draft? DJ: What I think they will do is move back or get rid of the pick entirely. There is not a player that they need or will target with such a young core and their recent draft picks not getting the opportunity to play yet also. Looking back at the last two seasons, besides Murray, we haven’t been able to actually see Denver’s draft picks like Malik Beasley, Juancho Hernangomez or Monte Morris. Having a solid young core plus these young players that are a blank canvas untapped potential makes it difficult to develop yet another young player. Moving from the first-round pick seems like the logical move if you don’t go out and get a small forward that can immediately come in and contribute. JM: The team took a big beating after the 2017 draft. The performances of Donovan Mitchell (who was selected for the Jazz using the 13th pick, then traded) and OG Anunoby in Toronto (selected just before the Nuggets picked) made the perception of that draft all that much worse. The Nuggets will need to find an impact player at the wing/small forward slot in this draft. TM: Unless Denver sees an opportunity to move up to get a player like Mikal Bridges, Shai Gilgeous-Alexander or Miles Bridges — or Denver randomly has someone talented and ready to contribute fall to the 14th pick — I have a hard time imagining that they want to take another project prospect to develop. With players like Malik Beasley, Juancho Hernangomez, Monte Morris, and Tyler Lyon still around to develop, it is hard to imagine Denver taking a flier on a player like Zhaire Smith or any other prospects who need a couple years to get comfortable. Does Will Barton come back next season? DJ: I say yes. Denver should do everything in their power to keep him, but they have to find a way to keep him without having to go too far into the luxury tax. He’s an unrestricted free agent that came in from day one and put in the time to get better. He bought in and happened to be one of Denver’s best playmakers. He’s not afraid to take the final shot, he’s trying his hardest to impact that game on both ends of the floor, and stepped in when Gary Harris was down. Barton contributed to them having one of their most memorable stretches in recent history. He is a player that Denver’s front office should go after. Yes, you have to see what happens with Chandler and see if he opts-out of not, but Denver doesn’t have much room to do much else and if you look around. How will you get the same type of production for that kind of money? JM: Maybe. The equation is simple. If Barton wants too much money he won’t be here. If he comes back for a deal similar to the reported 4 years at $42 million that was initially offered then the chances greatly go up. We shall see what the market holds in free agency for Will Barton. TM: The way that I personally see it is that if Denver is unable to get out from underneath one of Faried, Chandler, or Arthur’s contracts, there will not be a path to bringing Barton back at any price. Denver would be well into the tax without moving contacts and that makes it seemingly impossible for Barton to return. 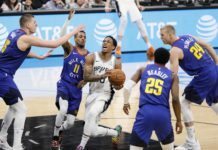 If Chandler opts-out of the final year of his deal, suddenly the Nuggets would desperately need wing depth and would have the money to pay Barton. From my vantage point, only one of Barton or Chandler will return and it seems very unlikely both of them will be back in Denver next season.